August 2011 – How Do You Do Marketing in Today’s Digital World? A lot of talking takes place on the web these day whether Google + is going to become the second social network giant next to Facebook or not. In my opinion Google+ has a very good chance to make it this time after being rather unsuccessful with Google Wave and Google Buzz. Jeff Bullas has been blogging about this subject recently. Read his blog posts. 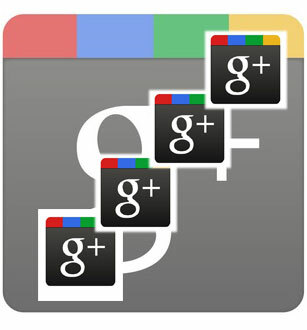 18 August 2011 – Will Google+ be the Second Biggest Social Network in 12 Months? I would like to hear your comments on this. Is Google+ going to become a second Facebook? After reading the manifesto “Read This Before Your Next Meeting” by Al Pittampali I am more than happy to support spreading this truly Modern Meeting Revolution. Fed up with Convenience Meetings? Fed up with Formality Meetings? Fed up with Social Meetings? It’s time to start learning about the Modern Meeting Revolution. The Modern Meeting moves fast and ends on schedule. The Modern Meeting limits the number of attendees. The Modern Meeting produces committed action plans. The Modern Meeting works only alongside a culture of brainstorming. Download and read the manifesto Read This Before Our Next Meeting. The Modern Meetings Revolution from Al Pittampalli on Vimeo.